What does Fardeen mean, details, origin, short & easy attributes? Fardeen is a Muslim name for boys meaning One who has triple strength; First month of the Parsi year when the sun is in Aries. Read below for Fardeen's celebrity and ruler associations, and numerological meanings. If Fardeen is the one, congratulations! Fardeen is baby boy name mainly popular in Muslim religion and its main origin is Arabic. Fardeen name meanings is Radiant. People search this name as Fardeen, Farhan farhaz fardeen waheed, Fardeen means in urdu, Baby boy fardeen. Fardeen is written in Urdu, Hindi, Arabic, Bangla as فردین, फरदीन, فردین,فاردين, ফারদীন. Other similar sounding names can be Fara, Faraasat, Faraaz, Farafisa, Farag, Farah, Faraj, Faraqlit, Farasat, Faraz, Farbud, Fard, Fare, Fareed, Fareeq, Farees, Fareh, Fares, Farhad. Each letter meanings in Fardeen Name. Popular personalities with Fardeen Name. 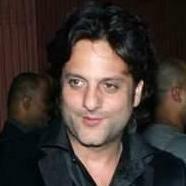 Fardeen Khan is an actor. He was most prominent from 1998 to 2010. Fardeen was born as the child of Feroz Khan (actor) on April 1st, 1974 in Mumbai, Maharashtra, India.